Once testing commenced Lotus was looked upon as having great pace on the long runs and it was hoped they could show this in race trim, and by the cool hands of Raikkonen they looked very competitive indeed. A well executed two stop strategy that thankfully didn’t resemble the two-stop seen in China last year when in the final laps the Finn disapeared down the rankings and off the podium. He seems under no stress on track which was confirmed when he claimed it was the easiest win of his career and he made it clear he was taking it easy, only punching in a fastest lap with a couple in hand to cover the chance of late rain. A Raikkonen that feels at home is a happy driver indeed. However Grosjean couldn’t share the joy, he took a single point after a wholly uneventful race, which back last year would have been welcome in this season is simply won’t do. Word is that he was late to receive the upgrades Raikkonen had since Friday and had two laps in FP3 to optimise his car. Like half the grid, when you’ve got an on form team mate, you have to make sure you don’t fall into the shadows. It seemed today was a foregone conclusion when both Red Bull drivers took the front row, but with a now standard tardy start for Webber he ended the first lap in 7th place. However Vettel did pull out a his usual front of the pack gap so that was to be expected, until Ferrari decided to spoil the party. A brilliant start from Massa saw him slot himself into second place ahead of his team mate and Hamilton. And despite a tidy race from Vettel, it was the exuberant display of superiority and power we’re used to. Webber however spent the race racing di Resta and in the low point scoring positions, but as ever there was a little more to it than simply one of his starts. A software issue prevented him from resetting his clutch after the warm up lap and was without KERS for between 10/20 laps. Could this Red Bull be fast but fragile? Or do they prefer things a little warmer? It was made abundantly clear by Martin Whitmarsh and his drivers that McLaren were going to have a tough weekend. After revealing that their pace in Jerez was due to a suspension component being fitted wrongly on the car, which does beg the question, why not leave it that way? It gave them a lower ride height which suited the track and retaining that set up would have only been a stop gap. Perez made up positions after a good start and looked set to repeat his early 2012 performances, Button also looked set to do the same but as the race stretched out they remained uncompetitive and had to watch the likes of Force India comprehensively beat them on pace, lap after lap. There have been loud rumours that the team would revert back to last years car, however for a team with the capability to develop like McLaren it would be foolish. Not only that they would have to spend time getting it to pass FIA tests. But it was not all lost for the British outfit, Button clung onto ninth place despite a little late lap pressure, but Perez couldn’t quite close the gap to Grosjean to secure a double team point score. Qualifying outside the top ten certainly worked well for Sutil today, starting on the medium tyres left him in the leading position on two separate occasions through the pit stop phases. 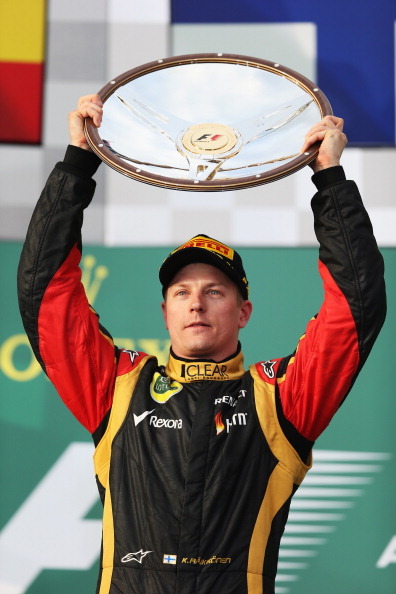 The returning German who had spent last season off the grid for his widely reported indiscretions in China during 2011, but has returned in a similar form to Raikkonen, with only a hint of rust. He kept Vettel at bay and managed to pull away while the current champion was the start of his very own train. However, tyres were his demon force today as his strategy saw him slip down the timing screens in the last ten laps into the clutches of di Resta. 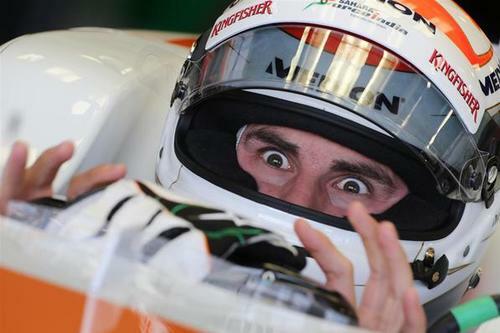 However after such a sterling performance it was fitting that Sutil stayed ahead of his team mate and retained seventh. They leave Australia leading the constructor’s championship, which considering how they started the last two seasons is very encouraging. The Massa that was on display here was the one fans fondly remember, fast and fighty he kept Alonso on his toes for the first part of the race, where his outright pace gave him the prestigious first to pit option. However his strategy didn’t quite work out as well as he had hoped and he found himself just off the podium, where Alonso kept Raikkonen company until the flag signaled the end of the first race. With Rosberg on a two stopper and the pace he showed through the weekend he could have been a thorn in Raikkonen’s side in the latter stages of the race, however a mysterious stop on lap 26 ended his race prematurely. 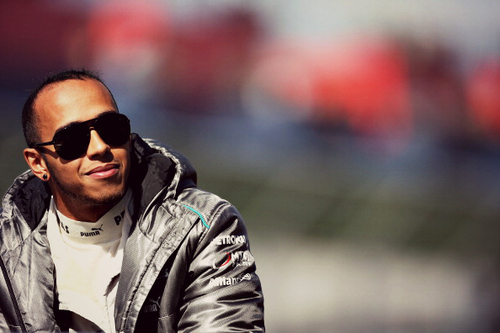 However soon after it was announced it was due to an electrical fault with Brawn saying, “We saw a drop in voltage from the battery and that stopped the car.” But for Hamilton, he put himself in a fantastic position and was never out of the points, and with so much pressure on his shoulders to perform he certainly lived up to expectations. A pairing that will certainly bear fruit and a couple of trophies too this year. Another team with pace issues and drivers unafraid to talk about it, in this team it was Maldonado who commented on the team going backwards to a point more familiar to them three years ago. During testing he said it was the best he had ever driven, now whether this some personal sandbagging is unclear but now he’s labelled it ‘undriveable’. Eliminated in Q1 Maldonado also had an early finish to mirror his 2012 effort, with a spin at turn 1 on lap 24 that had him beached in the gravel. Bottas on the other hand brought the car home, but it was far from the ‘non-rookie’ performance the team were evidently banking on. The weather controlled a large portion of the weekend, with different team benefitting at different times. It also delayed Q2 and Q3 to Sunday morning, but despite a forecast for showers in the race only a few spots appeared. Nico Hulkenberg didn’t start the race after his fuel system failed an hour before the race started. Daniel Ricciardo retured with an damaged exhaust on lap 41 after a strong race for Toro Rosso, Vergne as well demonstrated great pace. All five rookies finished their first race…report to follow.